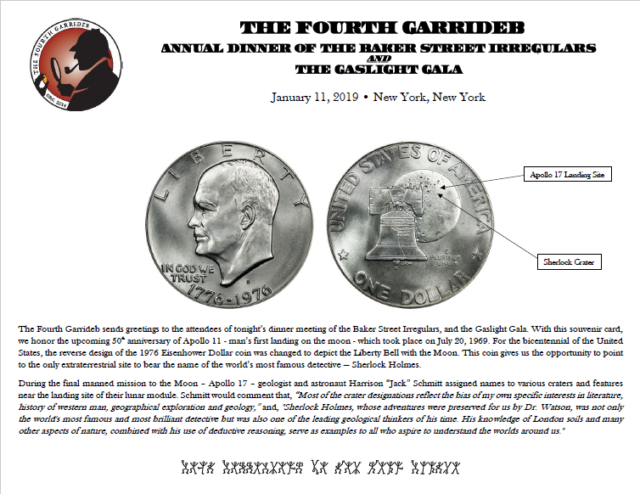 For the second consecutive year, The Fourth Garrideb issued a souvenir card for the Baker Street Irregulars Weekend this past January. Attendees of the annual BSI Dinner, the Dinner for “The Woman,” and the Gaslight Gala received one of our 8.5 by 11 inch souvenir cards that were printed on cream card stock. Since 2019 is the 50th anniverary of the first moon landing, our card discussed Sherlock Crater and how you can see it on a 1976 Bicentennial Eisenhower dollar coin. 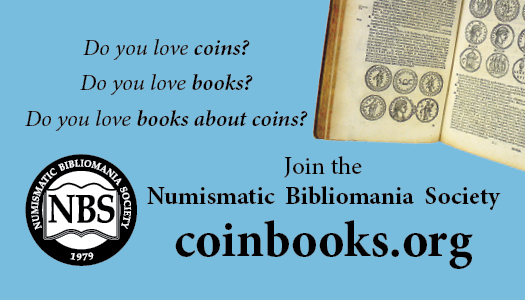 You can learn more about the Bicentennial Dollar and Sherlock Crater by clicking HERE.